A LITTLE OVER A YEAR AGO, I admitted to my coworkers that even though I’d worked for the DWR for nearly 13 years, I had never taken Hunter Education. Now, you don’t have to have to hunt or fish to work here, but our agency is mostly funded by hunting license fees. It didn’t seem right to be a Division employee and not contribute in that way myself. A total of 18 DWR employees passed Hunter Education in January 2010. Even though I had expert help, the turkeys got the better of us. After my remorseful admission, I encouraged (guilt-tripped?) a handful of my colleagues into taking Hunter Education with me. I called it my Hunter Education Challenge. The objective wasn’t necessarily to become avid hunters, but to gain a hands-on understanding of what we require of those we serve. I’m proud to say that on January 11, 2010, a rag-tag group of 18 DWR employees successfully earned their blue cards. After I crossed Hunter Education off my list, I decided to take the next step and actually go hunting. Since turkey permits were available over the counter for the first time in 2010, I decided to give that a whirl. 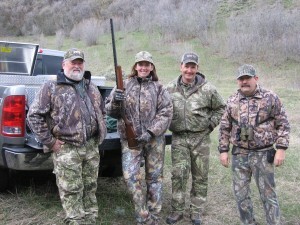 I bought my permit and then assembled a top-notch turkey hunting entourage. 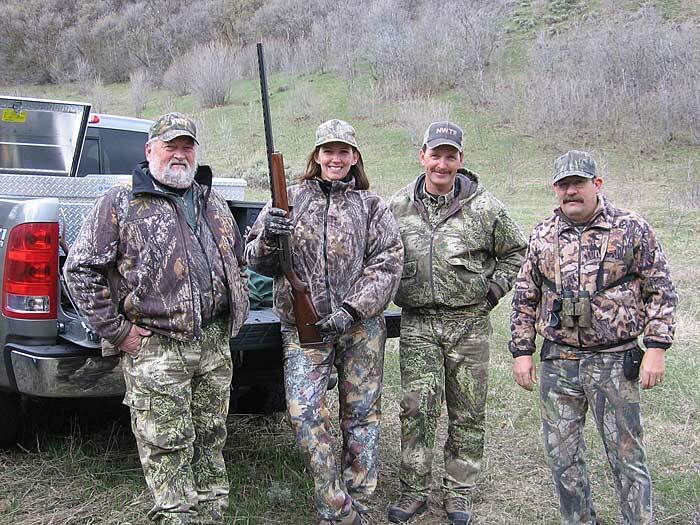 I’m so grateful for friends at the Division, National Wild Turkey Federation and the Mule Deer Foundation who volunteered to show me the ropes. Extra sandwich — Starting the day before sunup means that the PB&J you bring for lunch is gone for breakfast. Camo chair with back — Roughing it by sitting on the ground (or even one of those hunting stools) seems silly when there are camo chairs with backs. Camo duct tape — You never know when you might tear a hole in your hip boots while crossing a fence. Extra pair of socks — You’ll need them because you won’t know there’s a hole in those hip boots until you cross the river. This Alabama hog was my first harvest. When I take on a challenge, I take it seriously. 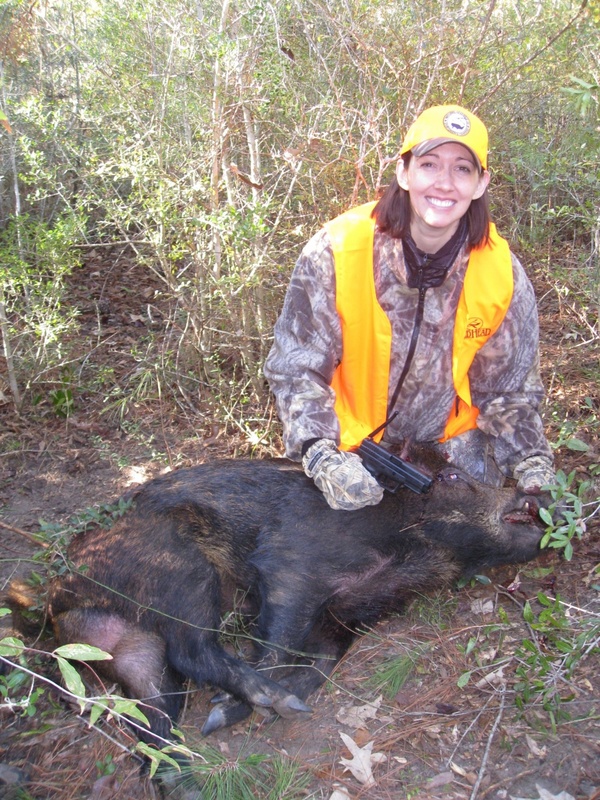 So when the opportunity presented itself to hunt wild boar hogs in Alabama, I jumped on it. I could go on and on, but will make my hog (pronounced hawg) hunting story short. On December 9, 2010, I harvested a hog that was somewhere in the neighborhood of 225–240 pounds. By spring, it will be hanging on the wall in my office, and my journey to become a hunter will be complete! I had a great time and thoroughly enjoyed the southern hospitality shown to me by the members of the hunting club that took me out. I knew the facts and figures related to hunting before I took Hunter Education, but I look at the whole thing differently now — it’s so much more than economic impact. I will always remember the people who connected me to the traditions and heritage of hunting. I challenge you to think about the person who got you hooked on hunting or fishing and then to return the favor. Discover the thrill of hunting or fishing all over again by sharing your knowledge and passion with someone you know! Missed the hunt season due to the new changes. Very disapointed. 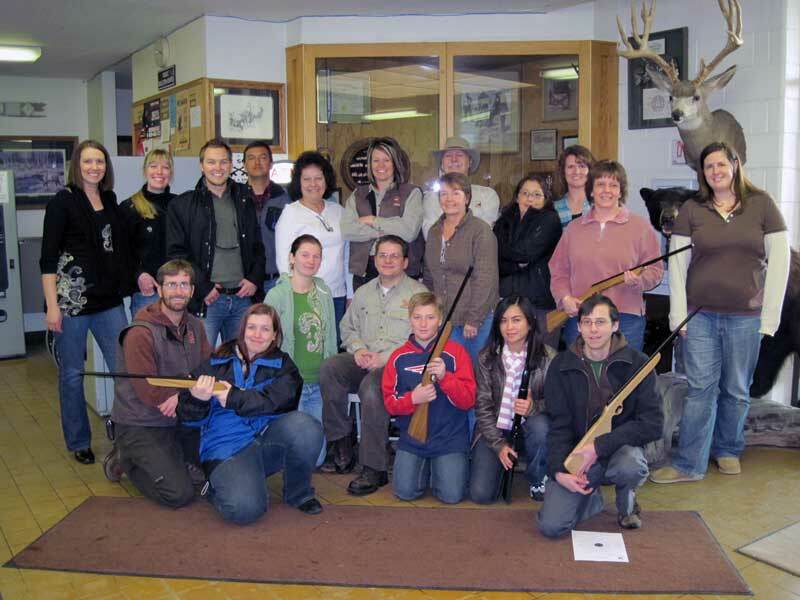 A question, would spitting the Hunt Season into two sessions allow for more hunters to participate? First Session at beginning of week, second Session start 12:01 pm on Wednesday (middle of the week during UEA)? Color code with a DOT (orange) the tages to reflect the first part of the week. Possible this could double the amount of Hunters so they could continue to enjoy the sport.